About Us | Heartland Homes, Inc. I have been building homes for 20+ years. I was a design instructor at the University of Buffalo for 7 years and also built custom cabinets for the top furniture design stores. Along the way I began buying Buffalo city “fixer upper” homes and started a renovations business. By the early 1980’s I moved to Malibu, California and became a real estate broker with land deals in both California and Hong Kong. That experience led to an entrance into the custom home building market of Southern California. Returning to Buffalo for a Bennett High School class reunion in the late 1980’s, I had the good fortune to meet my wife Dorothy. We moved back to Buffalo after getting married and after several years Heartland Homes was born out of the idea to build high-quality, custom homes for people seeking to make their “Dream Houses” a reality. 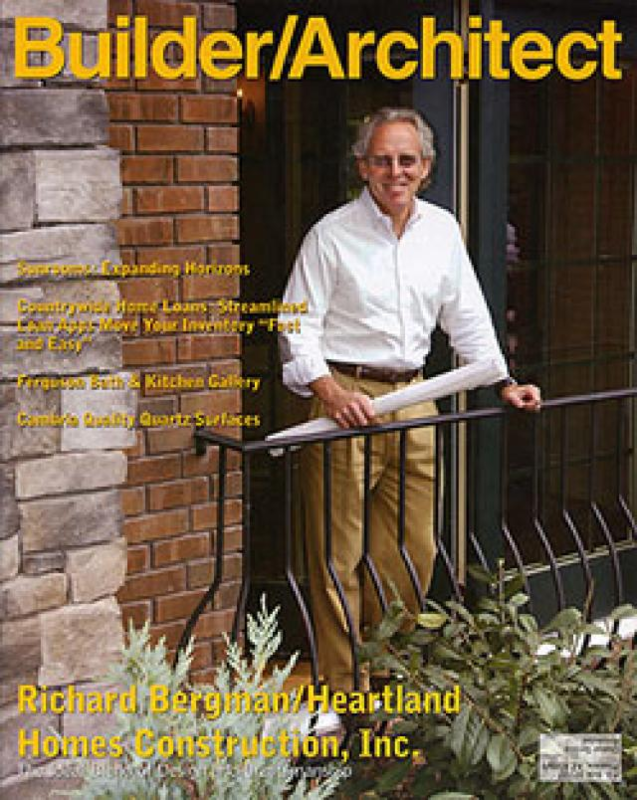 Heartland Homes and it's heart and soul, Richard Bergman, are first class in every way. We built our home and also did several projects before that with Richard. There is no one I could trust more to care about every detail, to make sure we got the most value and at the same time, to care about building for a cleaner environment. Our new home is green certified. We are living in an elegant, progressively thought out space and paying very little for our utilities. The materials in our home are the finest from our foundation to the wood that is used to frame our house, from our windows, doors and fixtures to the beutifully dry, spacious basement with high ceilings. We built our first house with Richard 12 years ago. Everything went flawless except for a couple problems, but Richard was right there to resolve the issues. He spared no expense to make sure the issues were resolved properly. There will always be an issue or 2 when building a home - but its how the builder takes care of the issues that makes the difference. Richard was and still is extremely easy to work with and an extremely reasonable builder. If I were to build again, I would choose Richard over any other builder out there today as well-hands down. We’d love to speak with you about how we can create your perfect custom home. Schedule an appointment now to learn about how Heartland Homes Inc. can make your dream home a reality.